Your Life. Your Wealth. Our Commitment. Roger is a partner of Legacy Consulting Group and specializes in helping clients define, articulate and develop their unique Financial Life Plan. This holistic approach is especially effective for people confronted with life’s transitions (retirement, loss of a spouse, divorce, sale of a business, financial windfall, career change, inheritance, etc.). Our processes and tools allow us to lead our clients through the human dynamics of financial change and transition. Roger is particularly skilled at providing practical solutions that fit each client’s precise needs as well as empowering his clients to make better decisions about their wealth. As a strategic thinker, he incorporates logic and empathy while working on a client’s financial plan. Strategic thinking is about exploration, and he challenges himself to question both the familiar and new. He believes every client’s unique financial circumstance can benefit from out-of-the-box thinking to identify the best fitting solutions. Roger received his BBA in Finance from Abilene Christian University and his MBA in Management from the University of Dallas. In 1989, Roger received the CERTIFIED FINANCIAL PLANNER™ certification from the College for Financial Planning. In 2004, he received the Registered Life Planner™ certification from the Kinder Institute of Life Planning and in 2016, the Certified Financial Transitionist™ designation from The Sudden Money® Institute. He is the only person in the state of Texas to hold all three designations of CFP®, RLP®, and CeFT®. 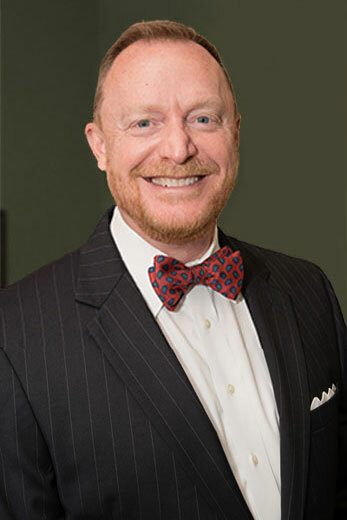 He has worked in the financial planning profession for over 30 years, and is currently a member of the Financial Planning Association, Kinder Institute of Life Planning, Dallas Estate Planning Council, Dallas Foundation Advisory Board, The Sudden Money® Institute and the Nazrudin Project. Since 2004, Roger has been continuously named as one of the top financial planners in the Dallas area by D Magazine. Roger and his wife have three sons. Outside of work, Roger finds pleasure in traveling and exploring the world around him. Being active is of great importance to him through exercise, fly fishing, playing squash and tennis. You can often find him lost in a good book and serving others leading a Connection Group at his church. LEGACY CONSULTING GROUP IS A FEE-BASED FINANCIAL PLANNING FIRM LOCATED IN PLANO, TEXAS. OUR TEAM HAS DECADES OF EXPERIENCE, AND INDUSTRY RECOGNIZED PROFESSIONAL DESIGNATIONS. WE BRING YOUR WEALTH TO LIFE.